Pool Leak Detection, Slab Leak Locating, Sewer Camera Inspection! Each Leak Squad location is a small business locally owned and operated. Owners are license holders of a nationally recognized US patented service mark Leak Squad. 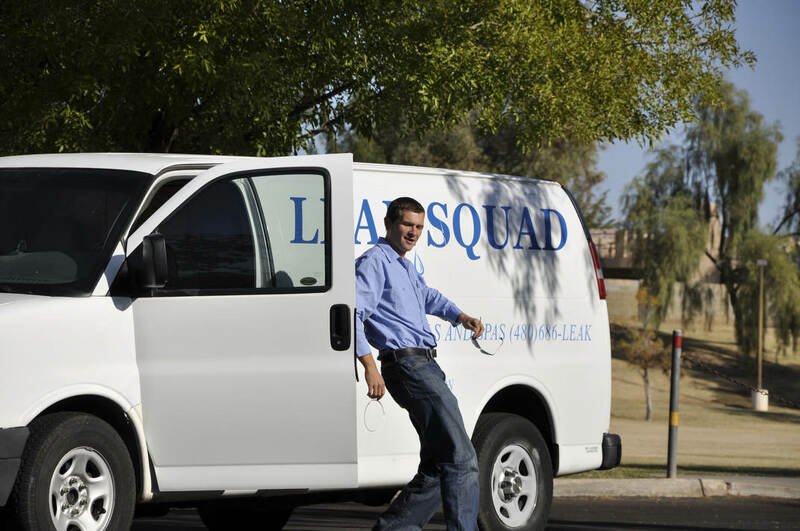 Leak Squad started in Scottsdale Arizona in 2006. It has opened 3 more independent locations in Charlotte NC, Saint Augustine FL and Daytona Beach FL. The background of owners is Mechanical Engineering, Aviation and Nasa Mechanic and Leak Detectors. We are a drug free company dedicated to staying in business for the long run. Each Leak Squad location is independently owned and operated under the "Leak Squad" trademark license. If you are interested in becoming a member of the leak squad family of local businesses please contact the Charlotte location for more info. Call 704-202-8341. We are always on the lookout for motivated individuals who would like to learn a career in leak detection. Leak detecting is a rewarding and fulfilling job that helps save the environment. Please contact your local office to inquire about employment.